Despite the disarray that Infinity Ward is in right now, Activision believes that it will be the source of great franchises in the future. 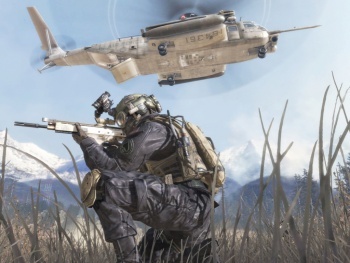 The dismissal of Vince Zampella and Jason West from Modern Warfare 2 developer Infinity Ward prompted more than 30 staff members to jump ship, with many joining West and Zampella's new studio Respawn Entertainment. But Activision Executive Vice President of Studios David Stohl says that the studio is rebuilding, and preserving what made it great in the first place. "It is still a huge recruiting drive. I've been a development guy for a long time, right? Recruiting at IW is not a problem," he said. "What we're trying to do is say that IW is a culture, it's a way of doing things, there's a lot of people there and there's still a lot of passion for doing it ... new people are coming in and we're setting the bar so high. And we're making sure it fits with the culture of what IW actually is. So far, so good." Stohl is confident that the "new" Infinity Ward will continue to produce quality games, and will expand beyond the Call of Duty franchise: "There is definitely a strong shooter philosophy there, for sure. And I think that there's a short- and long-term view on the whole thing. But I think we're rebuilding a studio that can go off and build great new franchises in the future." While few would say that the circumstances that prompted this injection of new blood into Infinity Ward were at all desirable, there's no reason that its work won't continue to be highly enjoyable. It won't make the games it would have had this whole business not happened, but different doesn't automatically mean bad.